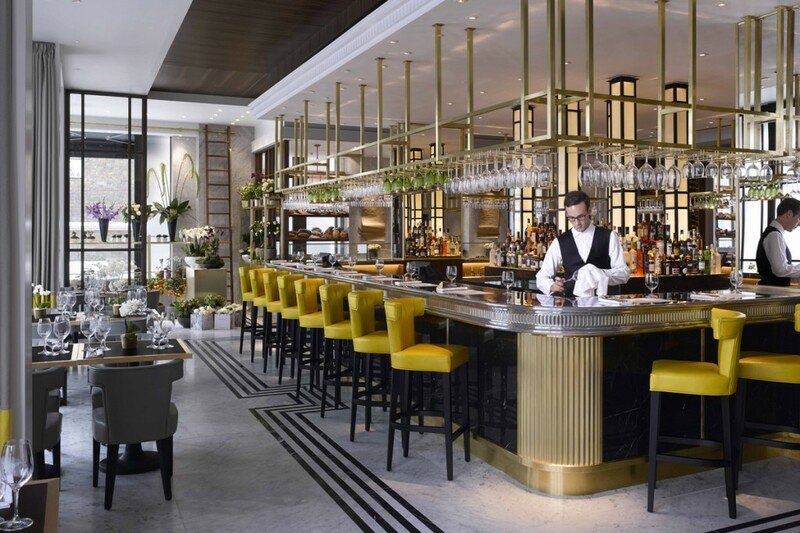 The Pavilion Member’s Club on Kensington High Street offers a range of facilities to a high-end clientele. The redesign of the restaurant facing the street aimed to create a completely new and varied concept, and is open to the general public. 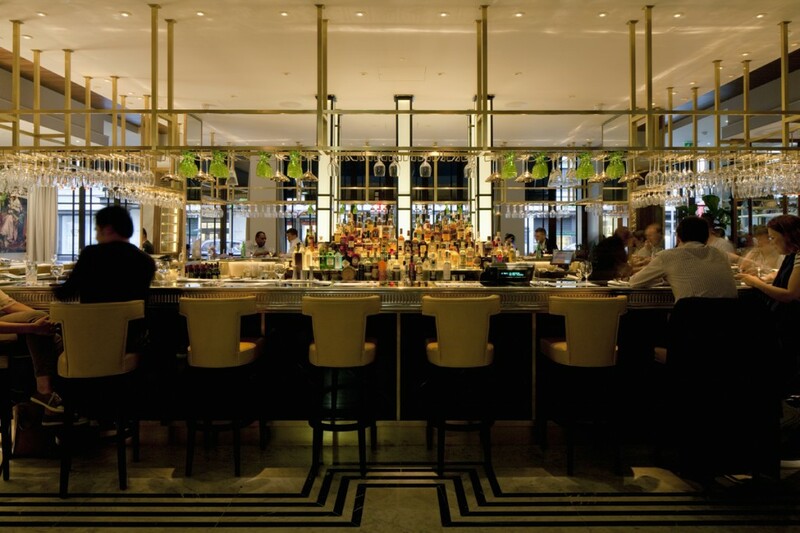 The central bar is the star of the space, and is bespoke-made by Cantilever Bars. 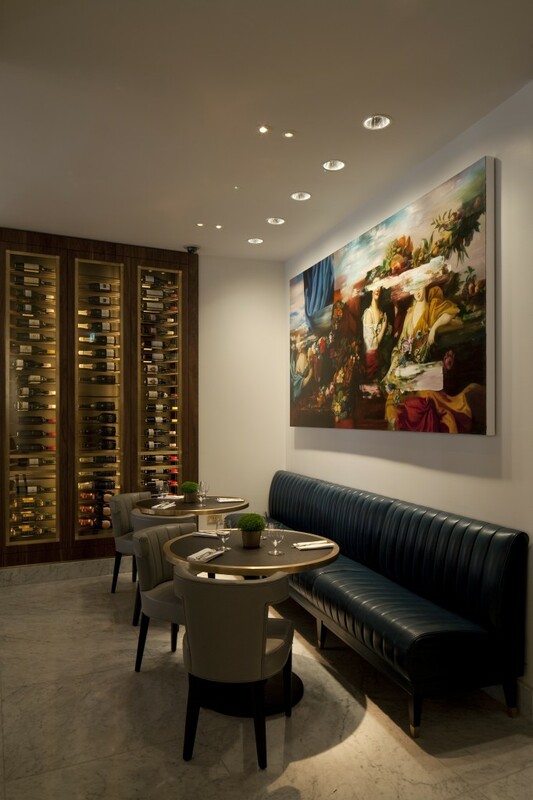 As the centerpiece of the restaurant, lighting needed to play a pivotal role in accentuating this area. At each corner three recessed LED downlights wash light over the copper façade. Warm linear LED provides working light for bar-staff and uplights the bottle steps, creating a soft glow from the inside. 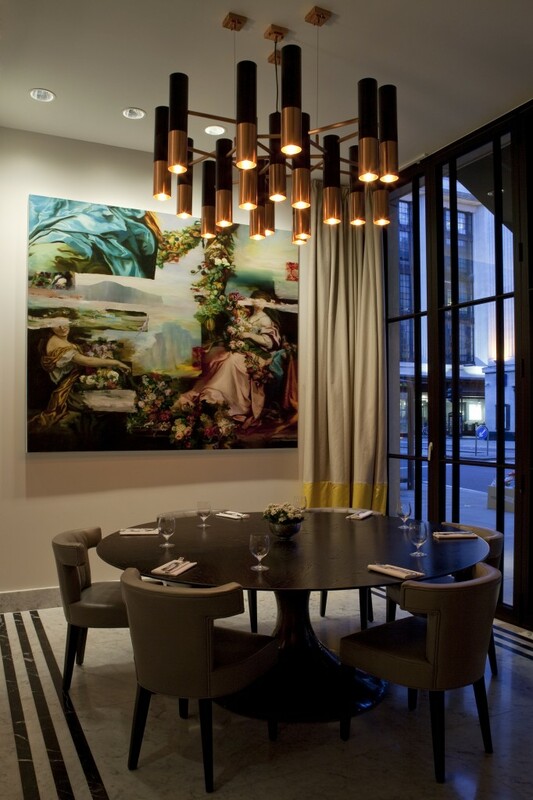 Bespoke reeded glass pillars in the very centre are uplit and downlit with recessed LED luminaires with Rosco colour filters. These are controlled independently allowing for flexible illumination. 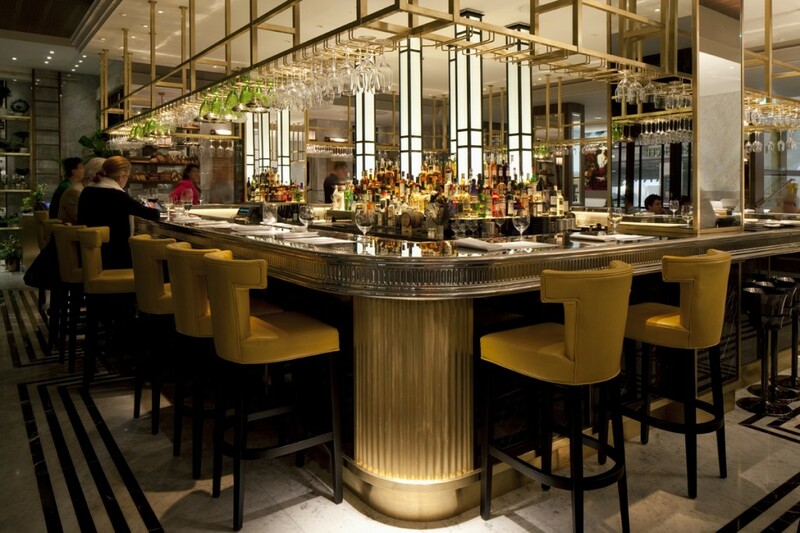 Downlights shine directly onto and also slightly offset from the gantry to highlight glasses and also illuminate the bar top. 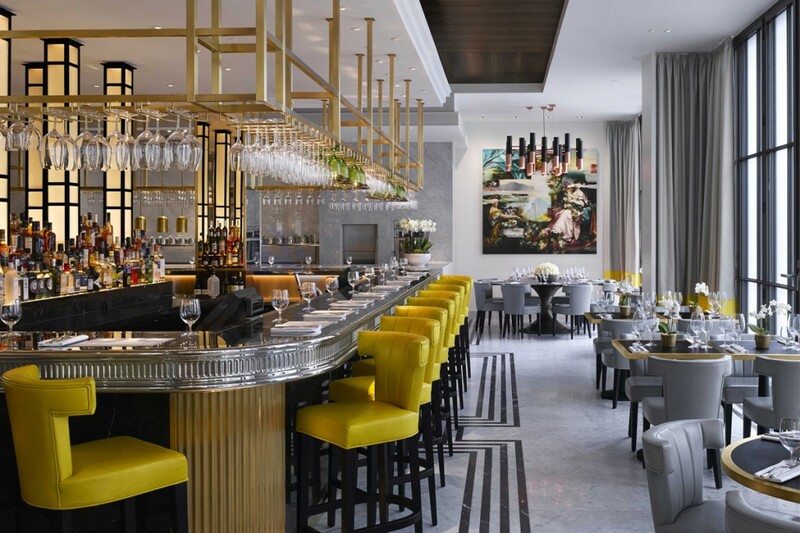 An exciting destination restaurant showcasing the work of infamous chef Adam Simmonds (awarded a Michelin star at a previous venue), and which involves a warm lighting ambience that is easily translatable through the day and into the night.